I dined at Calogero’s on Franklin Ave last night and was able to sample a few items on the menu. I know there are a lot of Calogero fans out there and I count myself as one of them. We were greeted by pleasant and friendly staff. The staff is one thing this restaurant consistently has going for them. Each staff member is always pleasant, friendly, smiling. Not necessarily a given these days when you go… well, just about anywhere. Our waitress couldn’t have been nicer. 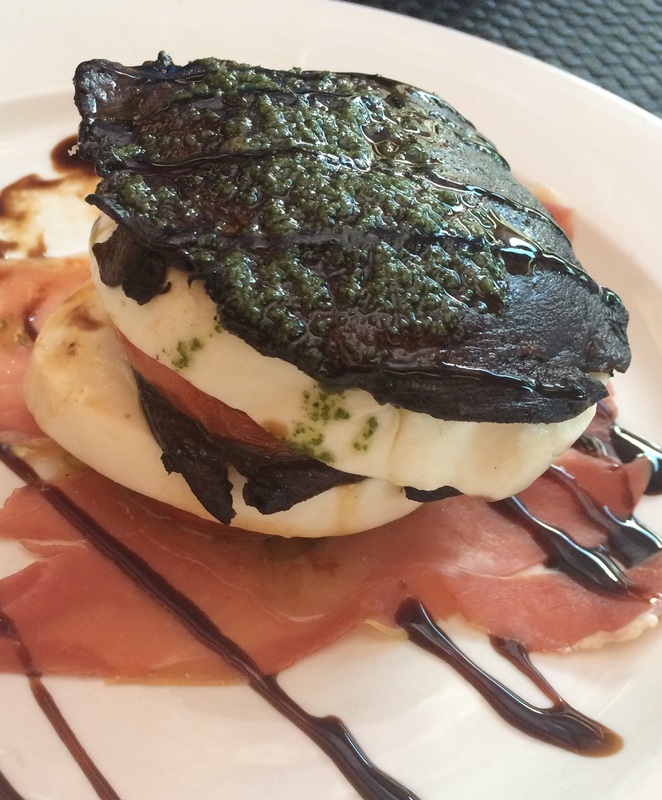 The small garden salad was just right with a light vinaigrette and the Funghi Portobello Napoleon appetizer was perfect: fresh mozzarella, prosciutto di parma, tomato, basil, olive oil and balsamic reduction. It’s presentation was as superb as its taste. I would definitely recommend this if you haven’t tried it yet. I will definitely be back to Calogero’s. Next time I may try the Gamberi Shrimp. In the meantime, I’ll continue to have their pizza delivered on the reg. 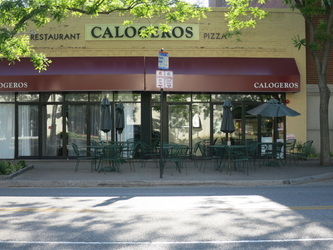 Have you been to Calogero’s? What’s your favorite dish?